I will never forget the detail in this specific bush walk in the Kruger National Park, well I forgot parts of it due to an amazing adrenaline experience. The excitement was running through my body as I woke up the next morning and the first thing one of the two rangers asked me was, do I want to see birds or animals? As this was Punda Maria, I choose birds. It was myself and the 2 rangers, no one else. We left in the chill of the early morning long before the sun rose up. We arrived at the area where we were to disembark. We set off from the Thulamila waterhole area and proceeded to walk through thick bush up and down ravines and see and hear all sorts of beautiful birds, rarities like the Narina Trogon and Pels Fishing Owl were heard and we witnessed a Spinetail fly above us... I was loving it, the part I forgot was the bird species count, (Which was probably around 50, most I had never seen before) as we got a bit of a shock. We stopped on an incline above one of the ravines for the usual bush breakfast of biltong, crackers and juice. One of the rangers then went to have a look above the bush where we came from, he immediately signalled to the other ranger and I by clicking violently to come quickly. Fresh Lion tracks, almost over our footprints of where we had travelled minutes earlier. The spoor indicated the Lioness or small Male Lion was on it's way to where we were going to be walking. The Rangers then decided, even though we all deep down wanted to track and see the Lion, that we should head towards the Thulamila road where it is more open. We were in very thick bush and anything could happen, and the Rangers were quite concerned the Lion had come so close to us, which is out of the ordinary. We walked quickly through virgin bush and when we were "safe" we stopped to admire a Steenbok and later a European Nightjar roosting on the floor. We then hit the main road and encountered more trouble. This time a Bull Elephant, he could not smell us so we watched him shortly and then carefully made our way down the road back to the vehicle. What a walk, the adrenaline pumps through my blood everytime I recall this experience! Please click the map below to see the route we took (In yellow dots), our Lion encounter (In pink) and the Bull Elephant (Green) and our probable route back if we did not see the Lion (In blue). 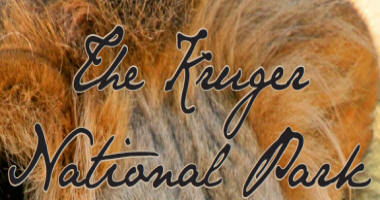 Where to find animals in the Kruger Park? Reference work used in this website is "A Dictionary of Kruger National Park Place Names" by J J Kloppers and Hans Borman, published by SA Country Life in 2005. Extracts are used with permission from Hans Bornman whom I met in Barberton. SANParks who gave me permission to use extracts from their website and in particular their base maps on which I was able to plot bird locations and other map details such as the Gertenbach Landscapes.